Amazing detached villa with 4 bedrooms and 4 bathrooms, private swimming pool in the plot, parking and wide green areas. 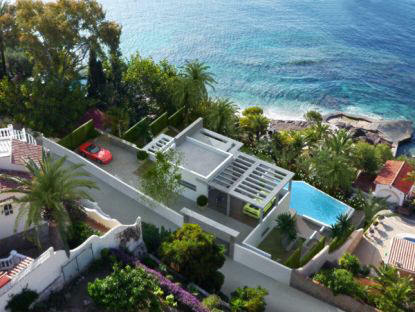 It is located in first line of Calpe's beach with direct access to the beach. This villa has heater, air conditioning and jacuzzi.